There is quite the debate out there about what is the best flooring in the coop and folks ask me what is best sand vs. straw or shavings in the coop? Is sand best? 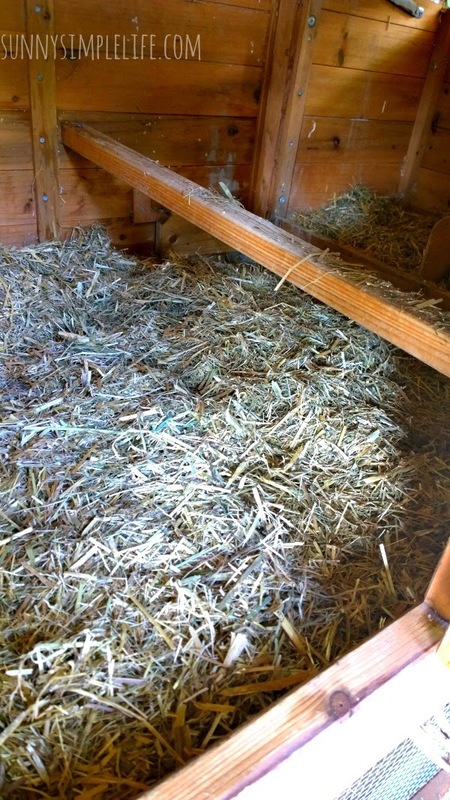 What about straw or shavings in your chicken coop? Opinions vary on raising backyard chickens and the online community is very opinionated. I will share what I use in my southern California chicken coop. We are dry for the most part and our soil in the garden coop is clay so I use sand in the base of the chicken coop or the little run. Water drains quickly with sand and it dries fast without any mold or mildew. It also dries out the chicken poop very quickly and all I have to do is filter the droppings with my cat litter scoop every once in a while but honestly it breaks down fast in there with no smell. I also pour builder grade sand around the run and in the chickens dust bathing areas. The chickens love it and it makes for a nice dry bathing area. Play sand in the chicken coop is fine too. It's chicken flooring and they are pooping. I would not over worry as long as you are able to maintain a clean dry chicken coop floor. I do mix organic planter mix and peat in as well to build up soil about twice a year. 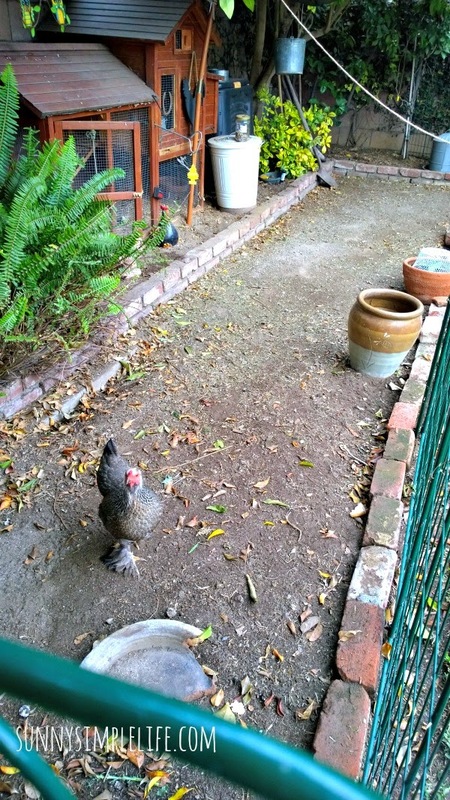 The addition of sand keeps our soil from forming into hard mounds when the chickens scratch and make dust baths. It keeps soil loose so I can just rake to smooth out all the holes. When it rains it helps the water to absorb faster as well. Now up in the actual hen house and in the nest boxes where they chickens lay, I do not use sand but have found I like straw the best. I have tried hay, shavings and now have found I love to use the chopped straw. The shavings take too long to break down in the compost and the hay is longer and harder to clean on a daily basis when I want to spot clean the droppings. When I finally started using the straw, I fell in love with it. Funny cause we are talking about where my chickens poop. But I am a gardener first and the straw is awesome to even mulch around my plants. It breaks down quickly and also makes wonderful fast compost. I am sold. Can you tell? 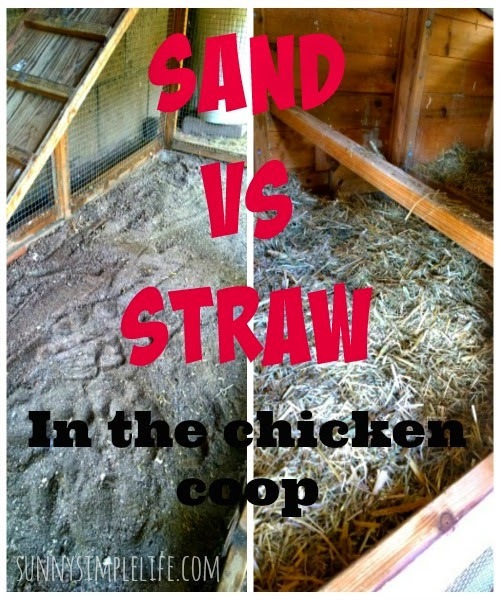 So there is my take on the debate of sand vs. shavings in the coop. All of us live in different weather conditions as well and here we are dry for the most part. You have to try out what is best for your area and needs. Opinions are strong in the chicken keeping world but trial and error is the number one advisor. See my post on how to get rid of flies in the chicken coop. I just started using sand and from what I read they told me to use all purpose sand and when the hens scratch in it in the coop it is so dusty i can not even be in there so I was thinking what is it doing to them, am i doing some thing wrong as the kind of sand i am using or what do I do? We have always used pine shavings and I keep them changed regularly! I hadn't heard about using sand until just recently and I am intrigued enough to want to try it when things warm up. Thanks for the advice and the testimonial about how it works for you! Next I bet someone is going to be asking you to write a book on urban chicken keeping. It's always good to hear about what works for others. I'll be pinning this for when we get our chickens. My chickens prefer straw in the coop but I'm thinking of getting a load of sand for the run. I'm on heavy clay and the mud gets pretty bad in wet weather. I think it will be better for their feet and it sure will be better for me to walk through. I have never had a problem. I imagine drier is better. Lots of mud is never good. I live in Alaska and I'm going to start keeping chickens for eggs soon. I want to keep the girls happy and healthy. I was wondering if you think it would be a good idea to use the straw in winter, (insulation), and sand in the summer, (cooler). Lyn as you know I am in So. California so our winters are mild. Straw would be better I am sure for insulation as you mentioned. Maybe you can check with your local feed store as to what is commonly used in the winter. Good luck. Let us know how it goes. I live in Washington and love the idea of the sand since we get a lot of rain...I don't currently have chickens but plan on getting them this spring so we are planning the coop...how much sand do I need (2-3 inches deep???)? Thanks for your help. It looks to me like your bedding is chopped hay, not straw. Have you had any problems with impacted crops? I always heard not to let hens have hay, but now I'm hearing a lot of people that do have hay for them. I am using Koop Clean right now so whatever they use but I did use timothy hay the first couple years but never a case of impacted crop yet. I had chickens in NJ and had no problems with my coop. Have moved to Alabama and have CLAY that doesn't drain well as we have had a lot of rain this year. Tried the sand in the coop and it molded and flies galore so into the compost bin it went. Not sure what to use now. Any suggestions on who to contact? Hi Lori! I’m in AL and struggling with mold as well! The humidity and amount of rainfall that we get on the coast is killing me! Have you found any solutions in your coop and run? Thanks! I am in Texas (lots of rain too) I use sawdust mixed with my sand and this has helped a lot. It helps absorb more of the water to help prevent the mold issue.